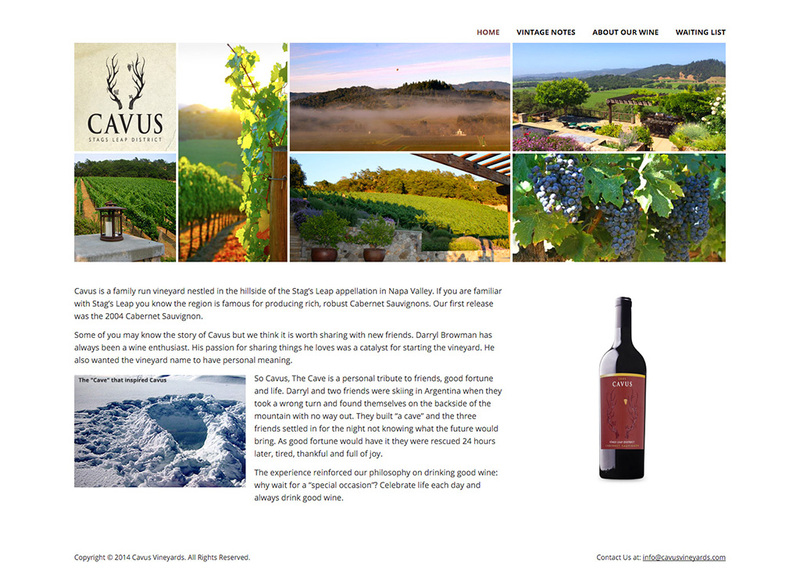 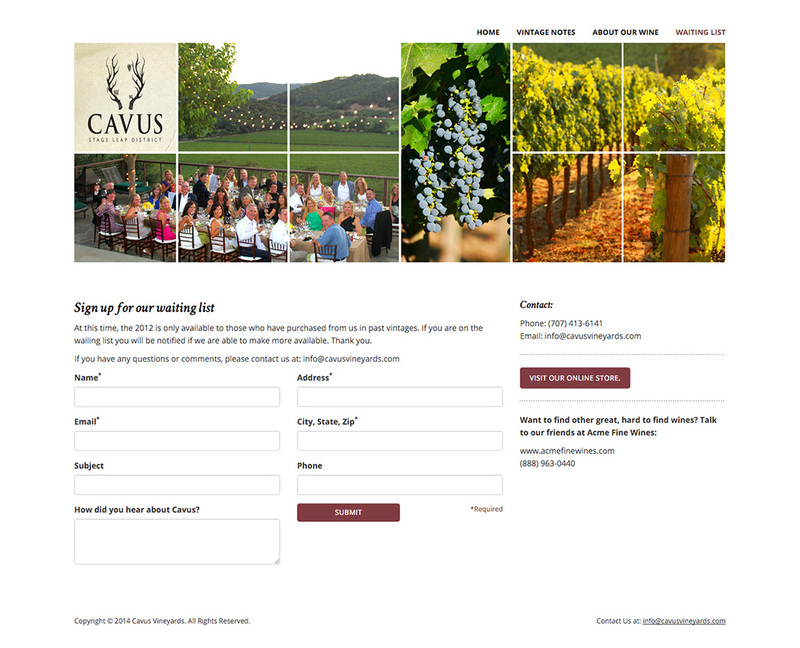 Cavus Vineyards is a family-run Napa Valley vineyard and winery. 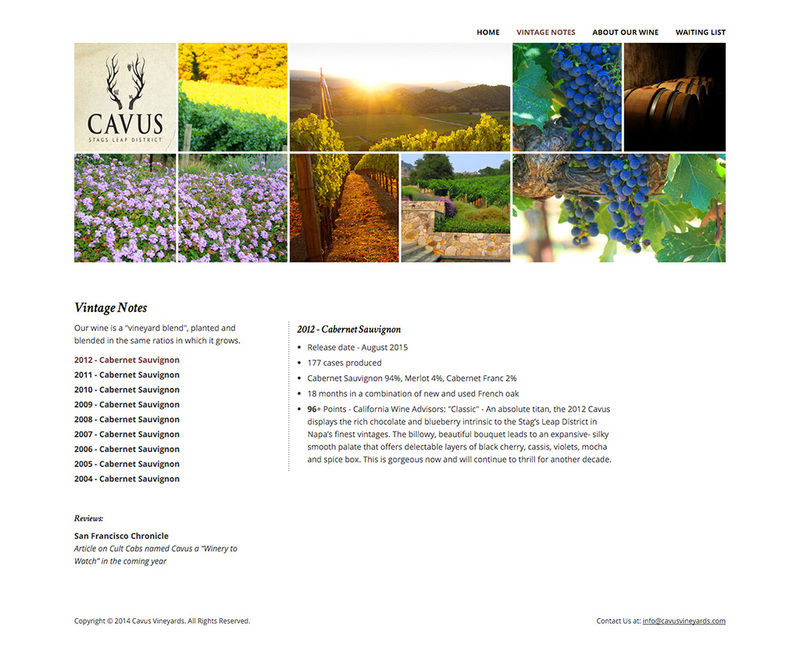 I was contacted by the owner to design and develop a new web site in time for their first release. 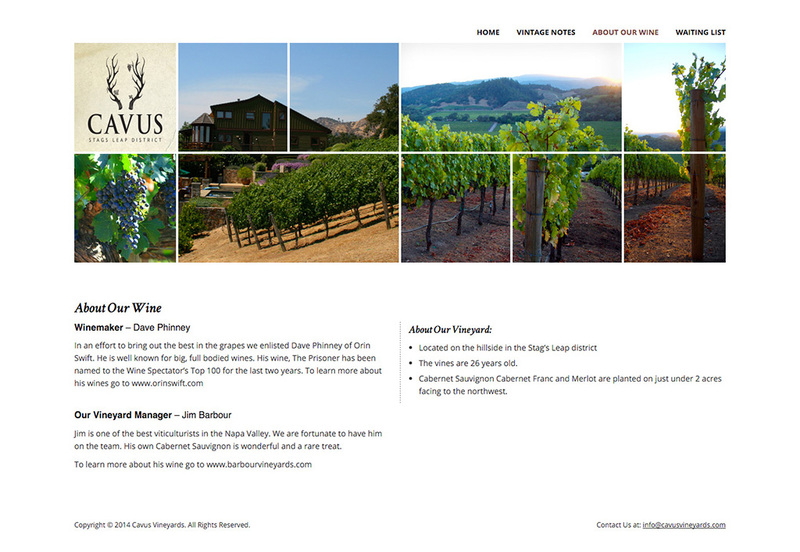 The brand has now been going since 2005 and continues to sell out quickly each year.